I was feeling a bit stressed, so it felt like the perfect time to revisit The Talisman Ring (and maybe also The Grand Sophy, if I get the chance). Heyer’s books are the perfect light reading to my mind: relatable characters, witty dialogue, entertaining set-ups… In this one, two cousins are supposed to get married, despite being completely unsuited; hijinks (and a few more cousins joining in) ensue. I make no claims for this book’s depth; I just enjoy the characterisations, the dialogue, the wit. It’s vastly fun. 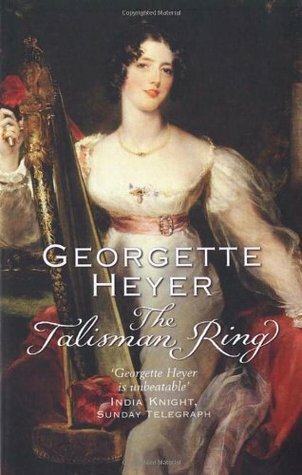 Though, Heyer being the person she was, the historical details and such are probably very much in the right places.